Do you have a drill sergeant living inside your head? 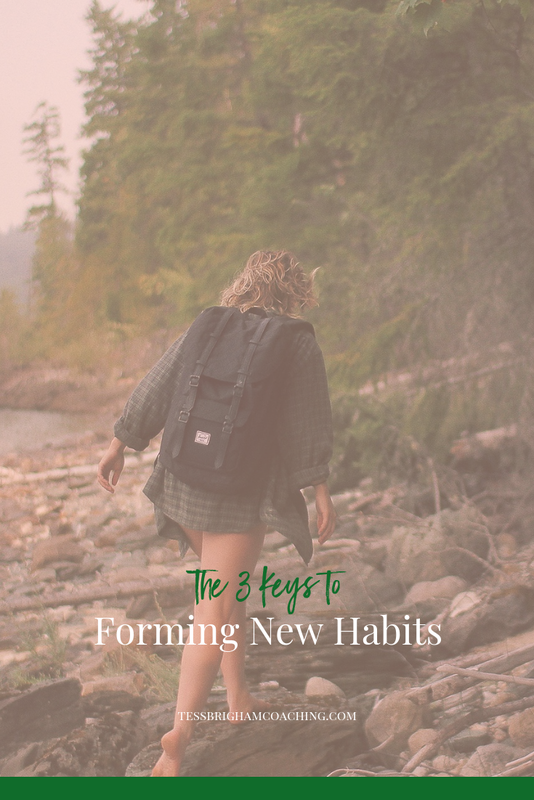 So many of my clients tell me that they have this voice inside of their head that helps them form and stick to new habits. The problem they tell me is, while they hate this imaginary authoritarian that rules their life; they can’t possibly let themselves “off the hook” and adopt a new way of thinking. If they did that all their good habits and behaviors will magically disappear. Once upon a time the school of thought was you needed to tear a person down and then build them back up in order to form a new habit. Don’t get me wrong, in order to change you gotta get uncomfortable and push yourself in a whole new way. It does take blood, sweat and tears to form a new habit but at what price? I’ve got a secret…change can happen without berating yourself constantly. You don’t have to put yourself down in order to grow. There is a better way and it doesn’t involve beating yourself up every time you make a mistake. I promise. Charles Duhigg in his book Habit states, “…for habits to permanently change, people must believe that change is feasible.” It’s simple, if you believe you have the ability to change, you can change. If you have been subscribing to the “beating yourself into submission” plan change may happen initially but it can’t be sustained long term. Why? Because if you are telling yourself you are weak and unable to do something you will eventually start to believe it. Studies show that it takes 90 days to form a habit. 90 days may not seem very long but when you are going without sugar or alcohol or nicotine…it can feel like years. Small incremental changes create bigger changes. Maybe these small changes are only visible to you but you have to celebrate each and every one of them. The final key is consistency and for many people this is the hardest part. You say to yourself, “I know I can change, I have proven to myself I can change…why can’t I stick with it?” If you eat something with sugar, if you have one too many drinks, if you sleep in instead of going to the gym, what you do next is the key to staying consistent. One slip-up or veer off course is not an excuse to go crazy. Acknowledge the misstep, figure out what led to the mistake and then get right back on track. These three keys to forming habits don’t work when you have that drill sergeant in your head. If you have been berating yourself in order to lose weight then eventually you will rebel against that voice. Think about it like any other relationship you have in your life. Would you stay with a partner, boss, friend that was constantly putting you down? Would you want to listen to them and follow their directions? Of course not! Find another voice to listen to. Be compassionate with yourself and remember that change is never linear. It is messy and all over the place but well worth the journey. To Go Home Or Not to Go Home? When Are You Old Enough Not To Go Home For The Holidays?